Occupational Health Vaccination Programs are administered by our highly skilled professionals. ASA ensures that immunisation requirements are compliant with required legislation and only qualified immunisation staff including Immunisation Programme Nurses, Doctors and Nurse Practitioners, all under their respective scopes of practice. A key aspect of providing this safe and healthy working environment is the development and operation to ensure it is as safe as it can be. ASA maintains vaccine management policy and procedures through the ASA Health Management Plan approved by Queensland Health. If operations are based overseas in tropical areas, this poses a significant risk to workers based in low-income countries in Africa, Asia and the Americas. These diseases include Amebiasis, hookworm and other potentially fatal infections. Working in local regions heightens the risk of exposure to these infections, therefore ASA can help protect your staff prior to travel to remote project areas, where required. 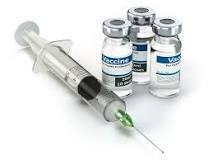 Some conditions, such as meningococcal meningitis, require repeated periodic re-vaccinations. ASA specialises in identifying the diseases that are prevalent to your geographic location, with specialists available to service your vaccination needs.